The Florham Campus Library has several Amazon Kindles, Sony eReaders and iPod Touches for use by FDU students, faculty and staff. The eReaders come pre-loaded with a selection of book titles. These e-reader devices may be checked out at the Circulation desk for a period of 7 days. iPads are also available for students, staff, and alumni for use in the library. Faculty may borrow iPads for up to 7 days. Faculty may also use the iPads to show streaming films in class. The Florham Library will provide you with a brief instruction sheet as well as any connectors you need. Please let the Library staff know ahead of time if you wish us to purchase streaming media for your class by using the Suggest a Purchase form. Kindles, Sony Readers and iPods will circulate for a seven-day loan period, with 1 renewal period allowed, to users with a valid FDU Library borrowing card in good standing. Overdue charges accrue at the rate of $10.00 per day. Borrowers must complete a loan agreement accepting responsibility for any loss or damage to device, and costs of repair or replacement attributable to a borrower will be charged to that borrower. All eReaders are due back to the desk from which they were borrowed. Faculty and staff may check out the iPads for a one week period. For students, the iPads are available for in Library use only at this time. 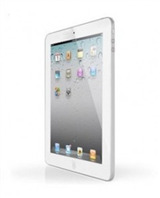 iPads will circulate for a seven-day loan period to users with a valid FDU Library borrowing card in good standing. Borrowers must complete a loan agreement accepting responsibility for any loss or damage to device, and costs of repair or replacement attributable to a borrower will be charged to that borrower. What if I would like to read a particular title on the ebook Reader? We are eager to receive suggestions from you of good books to add to the eBook readers. You can shop in the Amazon Kindle Store to see if your desired book is available. 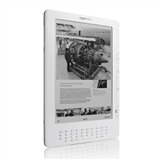 You may also download free e-books on these devices. Please use the Suggest a Purchase form on the library website to request eBook titles. Each eReader comes packaged with a tip sheet to get you started with using the device. Complete documentation for each eReader is available on the device itself.